Which gaming console is right for you? There are three main contenders in the video game console market, and each one has unique advantages and drawbacks. The PlayStation 4, for example, is easy to use: Sony has made a powerful console designed to appeal to as many players as possible, and its gamble has largely paid off. While Microsoft clearly wants just as many people playing Xbox One, it's tackling the market via its ecosystem, which is more open than any of the other consoles. The Xbox One supports cross-play with Windows 10, and its built-in livestreaming architecture, Mixer, is an impressive tool. Meanwhile, the Nintendo Switch is a strange treasure, packing less power than the other two systems but making up for this technical loss with an innovative hybrid design. Here we break down the best and worst bits of the PS4 Slim, PS4 Pro, Xbox One S, Xbox One X and the Switch for anyone looking to buy into the video game universe this fall. The PlayStation 4 is arguably the most popular console of the current generation, with Sony repeatedly outselling Microsoft's Xbox One, since both systems debuted in 2013. The PS4 hit the market at $400, featuring an advanced AMD GPU and the promise of eventual HDR support -- though this base model essentially doesn't exist anymore. Three years after the PS4's launch, Sony introduced two upgraded systems, commonly referred to as the PS4 Slim and PS4 Pro. The Slim lives up to its name: It's a sleeker version of the base model, shaving about two pounds off the console's frame while keeping the 1.84-teraflop AMD processing unit. 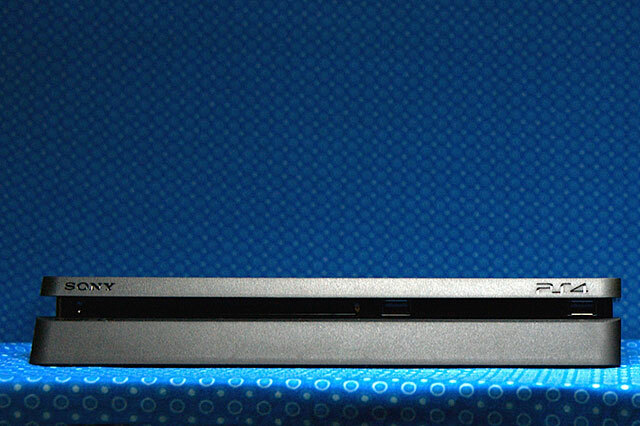 It comes in 500GB and 1TB sizes and supports Blu-ray and DVD, just like the launch console. The Slim, however, starts at $300. 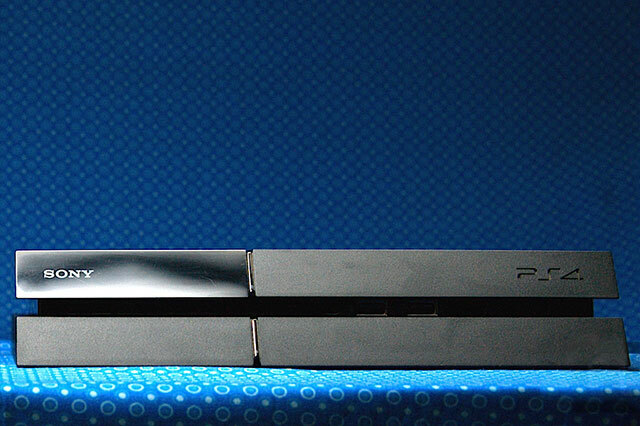 The Pro is Sony's true mid-generation upgrade. It costs $400 and is heftier than the Slim by about three pounds. Its most notable feature is the ability to play games in 4K via an upscaling process called checkerboard rendering. This isn't true 4K, but it's damn close; it's near impossible to spot any difference between checkerboard rendering and actual 4K gaming. The Pro doesn't feature any beefy upgrades to the PS4's CPU or memory (that's what keeps it from representing a new console generation, according to its architect, Mark Cerny), though it includes a 4.20-teraflop AMD processor. But what good is a 4K console if games don't support anything higher than 1080p? Luckily, there's a sizable lineup of titles optimized for the PS4 Pro, utilizing checkerboard rendering or other upscaling techniques to hit resolutions above 1080p. These games include indie darlings like Abzu, Outlast 2, No Man's Sky, Resogun, Rez Infinite, Rocket League, Nex Machina and The Witness, plus AAA titles including Destiny 2, The Witcher 3: Wild Hunt, Uncharted 4: A Thief's End, Fallout 4, Overwatch, Resident Evil 7: Biohazard, Horizon Zero Dawn and Battlefield 1. Superhot VR is one of the many virtual reality games available for the PSVR. Over the past few years, Sony has effectively cornered the market on indie games, showcasing small studios during major press conferences and packing its digital store with irreverent, creative and massively popular independent projects. However, the company has seemingly shifted its focus recently, paying less attention to indie games to instead dive headfirst into virtual reality. Compared with the Xbox One S, Xbox One X or the Switch, the PS4 Slim and PS4 Pro have one clear advantage: VR. PlayStation VR is an impressive introduction to the possibilities of virtual reality, presented in a plug-and-play package. It's only been around for a year, but there are more than 100 PSVR experiences in the PlayStation Store, with 60 more due out by early 2018. And the PSVR hardware itself is only going to get better: An updated version of the headset is already on sale in Japan. If any company is going to bridge the gap between gaming consoles and PCs, it'll be Microsoft. The Xbox ecosystem plays nice with Windows 10 via the Play Anywhere program: Participating titles support cross-play between Xbox and Windows 10, allowing console fans to boot up games with their PC buddies or simply play a title seamlessly across both systems. Plus, buying a Play Anywhere game for Xbox One automatically makes it available at no additional cost on Windows 10, and vice versa. After Microsoft announced Play Anywhere at E3 2016, it had to clarify which games would actually support the new feature, changing it from "every new title published from Microsoft Studios" to "every new title published from Microsoft Studios that we showed onstage at E3 this year." Fans were wary of the change, though today a handful of high-profile games are on the Play Anywhere list, including Cuphead, Tacoma, Forza Motorsport 7, Middle-earth: Shadow of War, Resident Evil 7: Biohazard, Gears of War 4, Thimbleweed Park, Ruiner and We Happy Few. This messaging problem has dogged Microsoft since the debut of the Xbox One. 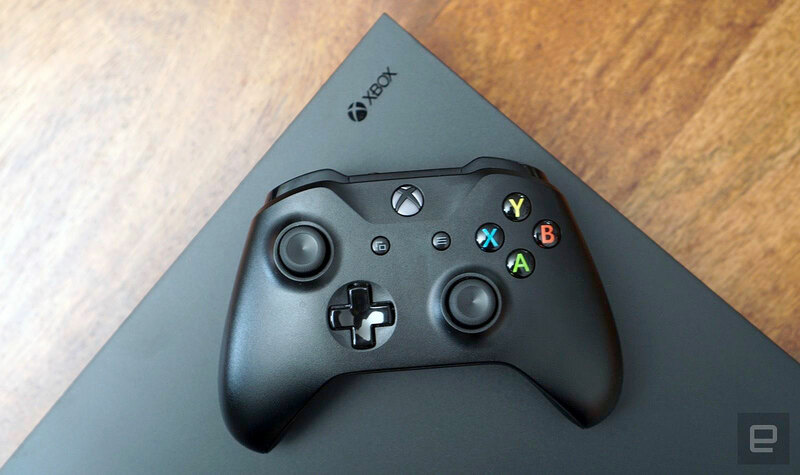 In the lead-up to the current console generation, Microsoft presented the Xbox One as an "always-on" system that would be constantly online, enabling easier updates, developer input and new types of connected gaming experiences. Customers were not impressed, arguing an always-on ecosystem would unfairly bar too many people from actually using the Xbox One, given the general unreliability of internet networks across the globe. In a series of confusing updates, Microsoft eventually reversed its decision to ship an always-on console. The company then had to play catch-up as the Xbox One's release date -- and the PS4's -- rapidly approached. Today, there are two Xbox One models on the market: the Xbox One S and Xbox One X. While it's easy to argue all consoles nowadays require a consistent internet connection to properly function, neither of these systems is always on. However, they take advantage of modern network capabilities to enable built-in livestreaming and cross-play capabilities. The Xbox One S is the "slim" version of the original Xbox One. It's 40 percent smaller than the base model, plus it has a UHD Blu-ray player and support for HDR gaming and video. The Xbox One X, meanwhile, is Microsoft's main event. It's the most powerful console on the market today (or ever, really), packing in a 6-teraflop GPU and 12GB GDDR5 RAM, compared with the PS4 Pro's 8GB. Most notably, the Xbox One X supports true 4K gaming and video, and it has a UHD Blu-ray drive. Of course, players have to pay for this kind of power: The Xbox One X starts at $500. The One S comes in at $300. The PS4 Pro, keep in mind, costs $400, and it supports VR. Though Microsoft is supremely interested in the future of augmented reality, the company currently doesn't have an answer to PSVR. Buying an Xbox One means buying into Microsoft's ecosystem, which isn't a terrible thing by any stretch of the imagination. Microsoft enables cross-play between Xbox and Windows 10, and its in-house streaming service, Mixer, makes it incredibly easy to go live on Twitch and other platforms -- in 4K UHD, no less. Plus, the One S and One X can access a robust library of classic Xbox and Xbox 360 games via backward compatibility. That's not to mention the upgraded, Bluetooth-enabled Xbox One gamepad, which has emerged as the gold standard of controllers. The Switch is, in a word, wonderful. It's not the most powerful gaming console available today -- that's the Xbox One X -- nor does it support 4K, the most apps or the widest variety of games. 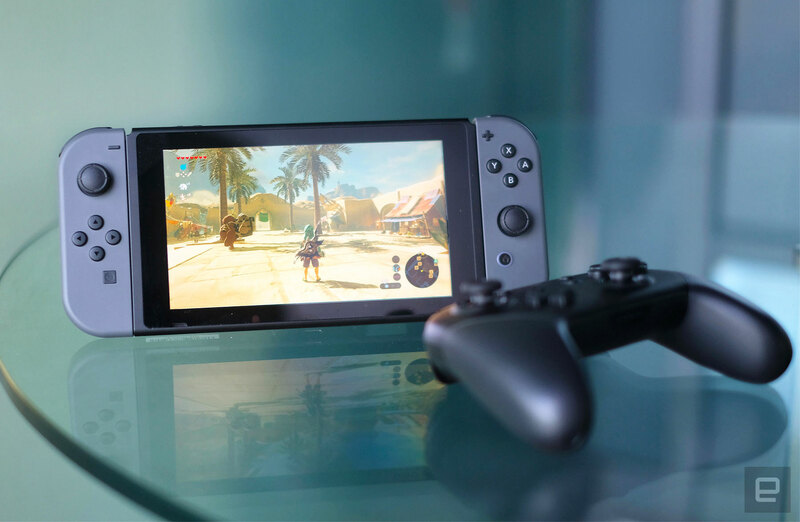 Still, the Switch is everything Nintendo promised it would be, and then some: It's a hybrid console, capable of playing titles up to 1080p on a television or up to 720p on its portable, 6.2-inch display. The Switch exclusively features some of the best games of the year (and it was a good year for games, indeed), including The Legend of Zelda: Breath of the Wild, Super Mario Odyssey, Splatoon 2, Mario Kart 8 and Mario + Rabbids Kingdom Battle. And then there are all the indie offerings -- this is a new space for Nintendo, but so far, developers have largely been happy with the company's approach to publishing. The Switch has signed on games like Shovel Knight, TumbleSeed, Stardew Valley, Rime, TowerFall, Travis Strikes Again, Floor Kids, Golf Story, Super Meat Boy Forever and Kentucky Route Zero. The Switch comes with two tiny Joy-Con controllers, which function just fine as full gamepads, complete with Nintendo's new HD Rumble technology. However, there's no getting around the fact that these are super-small controllers, not ideal for large hands or extended play sessions. The Switch ships with a Joy-Con Grip in the box, allowing players to create their own full-size Frankenstein gamepad, though it's worth noting the controllers don't charge when hooked up to the connector. Here's where Nintendo's real hustle comes in: selling accessories. A full-size Switch Pro Controller costs $70, while the Charge Grip accessory, which allows the Joy-Cons to refuel while connected, costs $30. And then there are all of those adorable Amiibo figurines, which sell for about $15 a pop: The Switch has a built-in NFC reader just for them. The console itself costs $300. It wouldn't be a Nintendo system if there weren't some strange form of digital-rights management built into it, and the Switch doesn't disappoint on this front. The Switch is technically adequate for the current console generation -- Zelda is beautiful on the built-in display, even at 720p -- and Nintendo finally figured out that people like to watch Hulu through their gaming consoles, but there's one glaring omission in the system's feature set: no backup option for save files. The Switch has a slot for a microSD card, though it doesn't allow players to save game data to external storage and the company itself doesn't offer any online backup services, as the PS4 and Xbox One ecosystems do. This means if your save data is accidentally deleted or your console is stolen, lost or damaged, all the hours you spent soaring around Hyrule simply disappear. The Switch doesn't support VR or 4K, though the hardware itself remains an achievement. Nintendo attempted to make hybrid gaming happen with the Wii U, and its efforts failed spectacularly. The Switch, meanwhile, is truly comfortable as both a portable system and an at-home console. It's the only current-generation console that makes sense to take out of the house. It's perfect for plane, train, bus or car rides, bringing the living room gaming experience on the road in a real way. So, which console is for you? There is no "best" console, at least not on a large scale. Each system excels and fails in its own special ways. The only determining factor is what you, as an individual, want to get out of a gaming system. Do you want the most games and players in an easy-to-use package? That's the PS4 Slim -- but go Pro if you want to show off your 4K TV. However, if your main goal is to run your 4K TV, UHD Blu-ray collection and homemade gaming PC through their paces, an Xbox One X might be worth the extra cash. For world travelers, daily commuters and party fiends, the Switch makes a ton of sense. Plus, it has a surprisingly rich library of high-quality games, everything from AAA to indie. With three solid console lines, a flourishing PC scene, booming esports market and more titles than ever before, it's a good time to be a video game fan -- regardless of which system you choose.